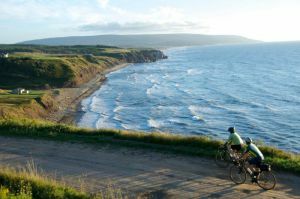 Known as much for its pristine beauty and wildlife, rich heritage and abundant hospitality as for the famous trail winding through it, Cape Breton has consistently been named one of the most beautiful islands in the world. 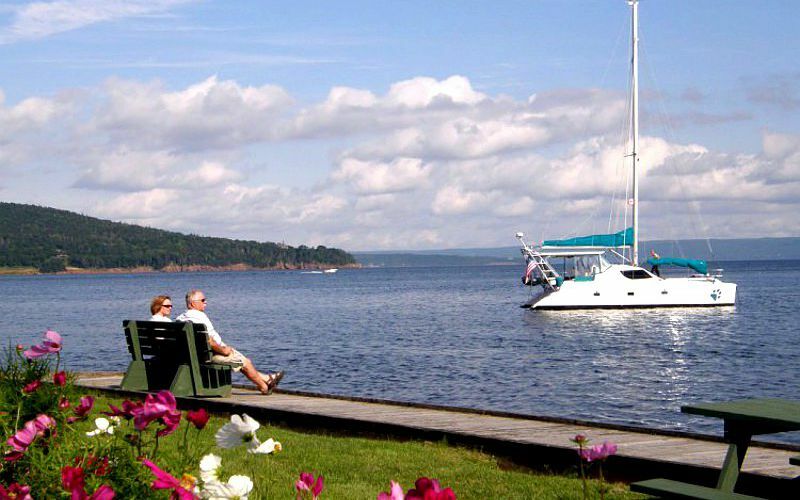 More than just a pretty face, our region offers something for everyone: nature lover and explorer, culture and history seeker, golfer and boater or stargazer. 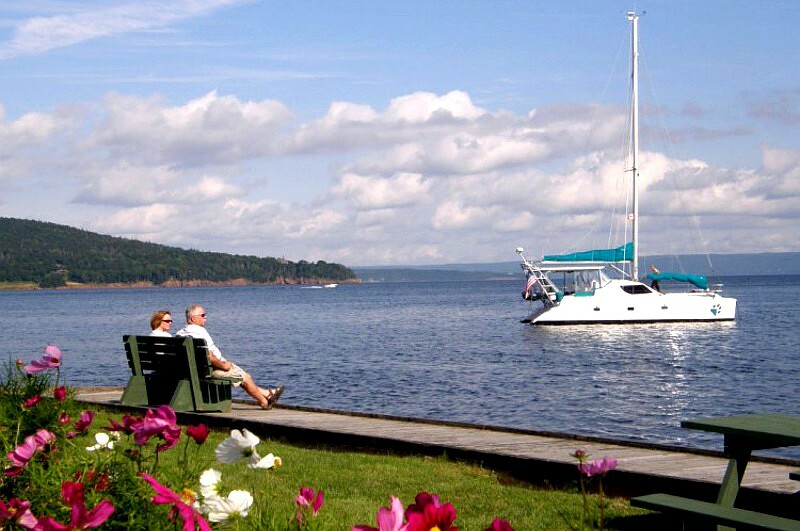 Bras d’Or Lakes Campground is perfectly situated to take advantage of all these offerings! 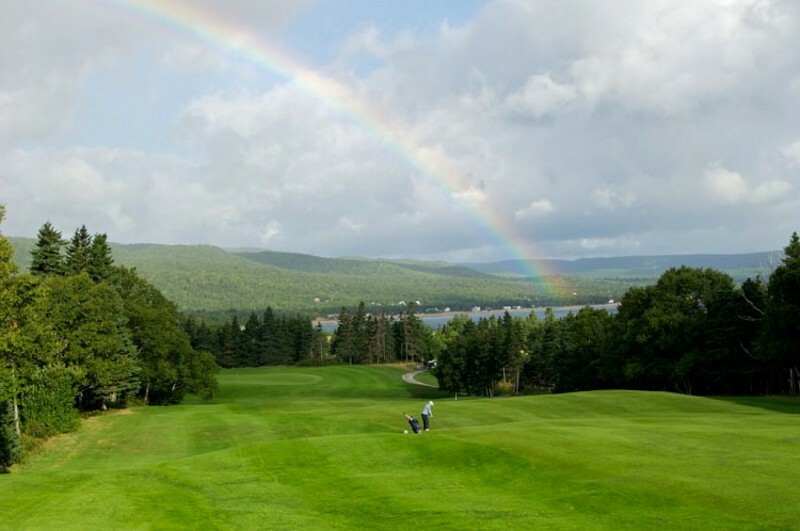 Nestled against the Bras d’Or Lakes, recently designated a world UNESCO site and biosphere, more than 500 feet of lakefront await! 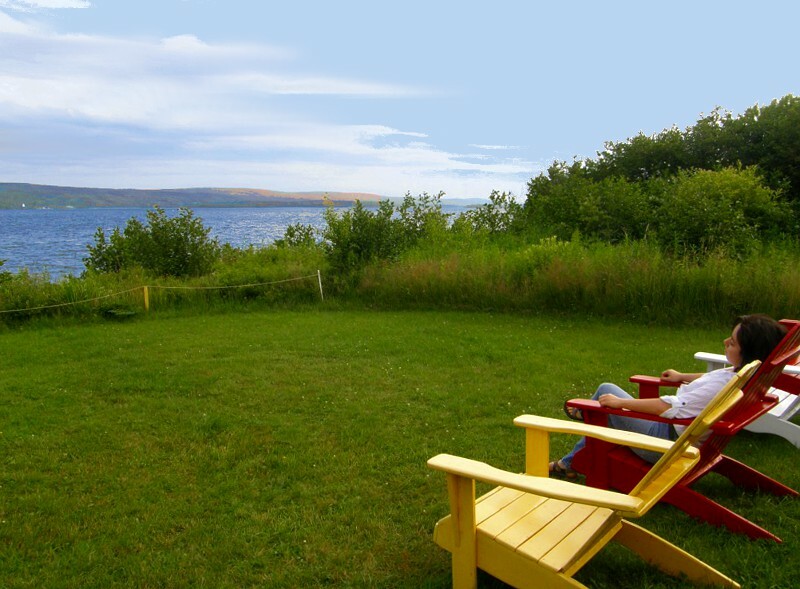 Bring a boat or kayak to launch, a fishing pole to cast or, a good book to read and relax in one of our Cape Breton-crafted Adirondack chairs poised on the overlook of the lake. 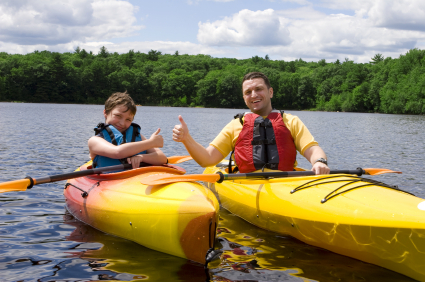 Our campground provides amenities such as a spacious Clubhouse with a Swap Library, Game Nook, plenty of seating and a fireplace. Next door, our pool with its shaded area, gives campers a chance to cool off or linger. A playground and playing field lets little campers and families be kids again on a swing, merry go round or have a friendly game of softball. Our Pet Walk provides for four-legged campers too! 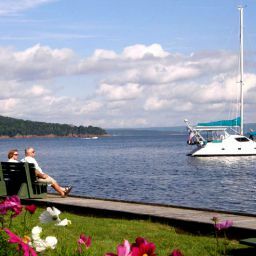 Just 5km from our campground is the lovely village of Baddeck along the bras d’Or Lakes. 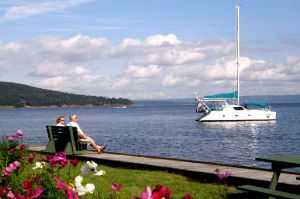 Here visitors can spend a day browsing the shops, go for a sail, play a round of golf, stroll the waterfront across from Alexander Graham Bell’s estate, Beinn Bhreagh, have lunch at several eateries including the Telegraph House, and visit the renowned Alexander Graham Bell Museum and Bras d’Or Lakes Interpretive Center. 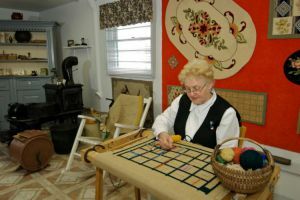 Nearby, the Gaelic College in St. Ann’s provides visitors to the region an overview of the rich Celtic tapestry that enfolds her. 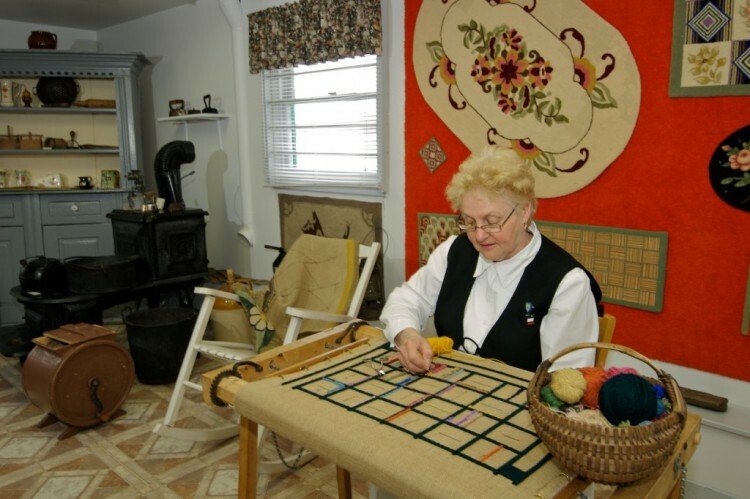 Part Museum and part music center, here, music, artisanry and culture come together in North America’s only Celtic college devoted to the study and preservation of the Gaelic language and Celtic arts and culture in a region steeped in its tradition. 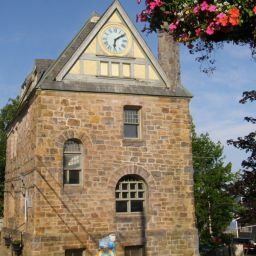 Take in one of their many ceilidhs and special events offered summer-long. Ready to take in the world-famous Cabot Trail? Our campground serves as a base from which to launch your day-long expedition of this spectacular beauty. More than 185 miles of winding road snakes around this island rising and falling like the steep cliffs it has been carved from. 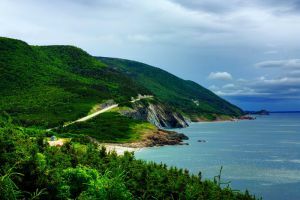 Throughout the trail, villages, inlets, beaches and harbours give way to majestic pines, rugged coastline and wildlife such as moose and the American Bald Eagle. 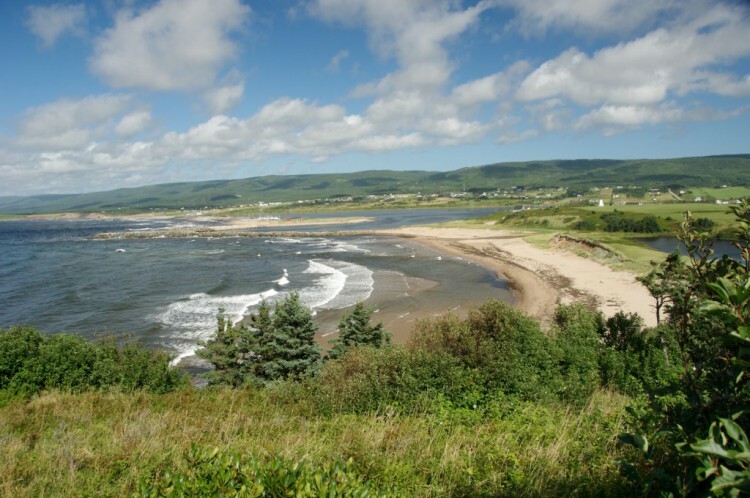 In fact, there are many options for day trips in Cape Breton! Travel just an hour east to Sydney where the impressive Cape Breton Miner’s Museum, Cossit House Museum, town, and harbor await. 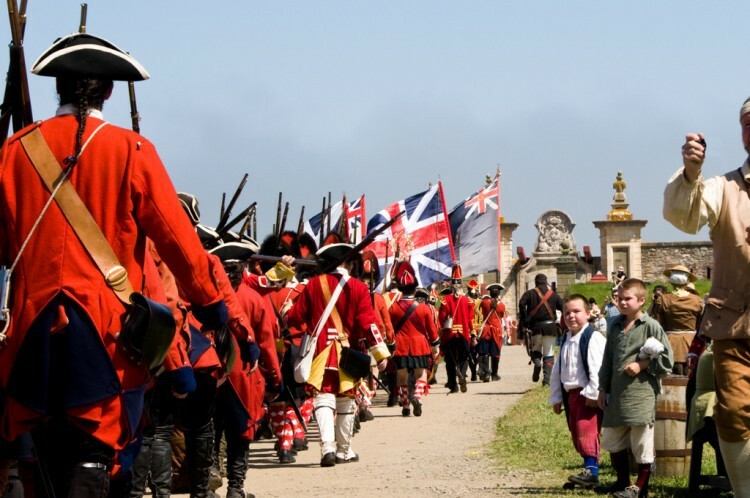 Not to be missed is the Fortress of Louisbourg National Historic Site of Canada. 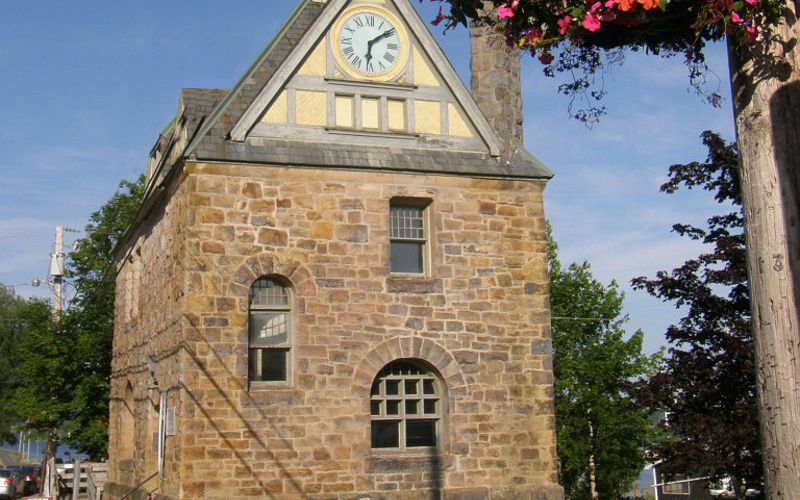 Just a little further southeast from Sydney, this restored, fortified town and fortress holds daily events, interpretive programs, reenactments, and evening Ghost Walks. 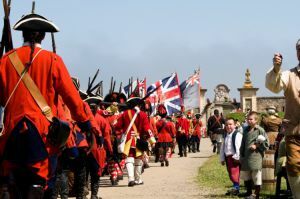 Perched on a corner jutting out into the Atlantic in the pretty town of Louisbourg, an exploration of Canada’s 18th century past is time travel worth taking!